The DSO138 is full assembled ,not DIY KIT! 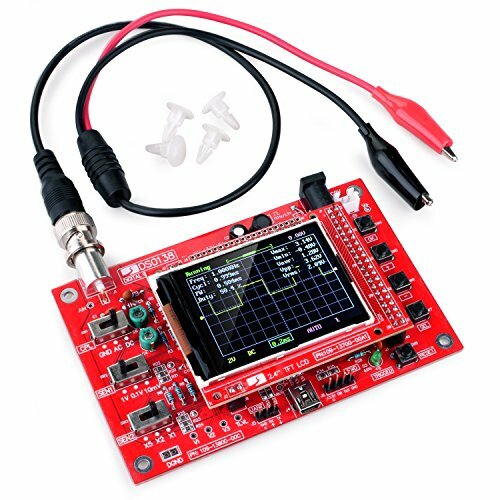 It contains only the basic oscilloscope functions with no fancy features. Simplicity in structure and easiness in assembly/operation are among the main targets of the design. For these purpose DSO138 uses mostly through-hole parts. The heart of DSO138 is a Cortex-M3 ARM processor (STM32F103C8) from ST. It uses 2.4-inch TFT LCD (320 X 240 dot-matrix, 262K colors) as its display element and displays nice and clear wave forms. Detailed assembly instructions are provided in combination with troubleshooting guide and schematic. Source codes are also available to allow user to add their own features.